How do top producers stay at the top and continue to grow their businesses? We got the answers to that and more when we caught up with top producing agent Ariana Gillette who shared her thoughts on what it takes to make it – and KEEP making it in this competitive business. A: Hi Readers! I am a Northern Virginia native. My Husband, two kids, two German Shepherds & I currently live in Loudoun County. Real Estate is my passion and I have handled a Gazillion issues as a Realtor in this fast-paced, yet rewarding business. I have been licensed since 2003 and do $10 million in production per year, yet I am always looking for fun and creative ways to expand my business. I have a Master’s Degree in Public Policy and am a Licensed Real Estate Broker. I bring a depth of knowledge into every transaction as well as a solid sense of humor. My goal is to educate & empower my clients to make the best decisions they can while buying and selling. I want them to have the best experience possible. Q: You entered the Master Marketing Schedule contest – can you share what you like about using this agent tool and what your favorite strategy was? A: Let’s be honest … the everyday practice of Real Estate is tedious. Yet, that is exactly what makes us successful running our businesses. If we don’t prioritize meaningful engagement with our clients it’s just NOT going to happen. The Master Marketing Schedule makes it easy to time block your calendar to do mailings, pop-by gifts, and farming pieces. Q: Are you working a geographic farm as well as your sphere – and can you tell our readers any tips you might have for staying top of mind? A: My sphere is the life of my business. I door knock with door hangers, I do print for my Coming Soon, Just Listed, Just Sold marketing, and of course everyone’s favorite the Neighborhood Update. I mail the update one time per quarter, which reminds me, I’m due for Q3 mailing to my Farm! My advice? Get involved with your community and give back. That is how to make your Farm thrive with referrals. A: Coffee, lunch, pop-by gifts, invites to events and free stuff when I get tickets or passes, etc. Facebook shout-outs to customers on the anniversary of their home purchases. Q: A lot of agents struggle with follow-up – do you have any words of wisdom for them? A: Order Thank You cards that are blank inside and start shooting them out, and have stationary made from ProspectsPLUS! to write handwritten notes. ANYONE who gives you their email, add to your database right away — not a month from now. I am bad about this, but it does make a huge difference. Q: One of the reasons we created the Master Marketing Schedule was to put some fun into marketing for agents, and give them outside the box ideas for connecting with clients. Do you have any fun things you do to stay motivated and on track? A: Accountability groups, a life coach, webinars, and conferences. I’m a busy mom – but I make time for all of these when I can. Q: If you had one piece of advice for a brand-new agent in today’s market, what would it be? A: Use systems. Run your Real Estate business like any other business. Show up. Follow systems that every office provides or connect with one of the bigger named coaches. Create and maintain meaningful relationships with every client you work with. Go above and beyond to provide value. AND don’t TEXT all the time. Make phone calls, and meet with clients in person to develop those relationships that will be your referral business for years to come. A: Sure. I am available via email at Ariana@Dwellus.com, on Zillow at www.zillow.com/profile/Ariana-Gillette or Facebook — search Ariana Gillette Real Estate. Awesome information — thank you SO much, Ariana! Be like Ariana! Jump into the contest! Need help with your marketing? Visit www.prospectsplus.com or call our marketing team at 866.405.3638 today! We often interview agents with success stories, but this week we had the awesome opportunity to share an interview with one of our power brokers who uses smart marketing tools to help her agents succeed at a high level and brand her business throughout her market. Q: Thank you for agreeing to our interview. Can you first tell our readers a little about yourself? A: I am a small-town girl with a big appetite to succeed! I am the youngest and only girl with three older brothers, and I adore each one for different reasons. I lost my middle brother in Vietnam when I was 14, so I believe that shaped a part of me for the rest of my life. I flew off to one of the biggest cities when I was 18 years old. I moved to Los Angeles, California with the blessings of my family. I never looked back. Real Estate is actually my third career. I was excited to join the Real Estate industry back in 2004, and continue to learn every day. Q: As a Broker/Owner, you’ve probably waded through many different marketing options, can you tell us what attracted you to ProspectsPLUS!? A: Boy, have I! I actually used ProspectsPLUS! many years ago, but stopped mailing postcards as so many agents tend to do. When I opened my Brokerage, Coral C’s Realty & Property Management, LLC. just 4 years ago, I started receiving emails from your team? The Just Sold postcard was completed for me and all I had to do was approve it and click “OK”. So, it was Ramona and the ease of use of the postcards. Q: I know you offer Just Listed and Just Sold postcards to all your associates, which is awesome. What has that meant for you in terms of company branding, agent retention and recruiting? A: It is in my best interest to make sure each of my Sales Associates mail out those important Just Listed and Just Sold postcards to keep my branding (and their business) alive. So, I made the decision to include 100 postcards, complete and mailed out for each Sales Associate every time a home is sold or listed. This is a great incentive to offer new Sales Associate for a small amount of money. Even the seasoned agents find it a great tool and stay loyal because of it. Q: What advice do you have for agents eager to compete in this busy market? A: Take every advantage offered to you in the way of marketing, but STAY consistent when you start farming. ProspectsPLUS! offers a variety of inexpensive ways to keep your name in front of everyone that needs real estate assistance. Q: Can you share what’s working for your associates in terms of staying top of mind with their sphere and farm? A: I can honestly say that all of my Sales Associates at one time or another have said “Thank you” for including the postcards in our Sales Package. But more importantly, they have each had responses back from owners wanting us to list their home because they received our postcards. The other awesome way to stay in touch with clients is to pick up the phone and prospect at least 5-10 people a day, five times a week. Q: Any fun ideas you’d like to add for agents or brokers for staying ahead of their competition? A: Keep your sales associates happy because they are your bread and butter. We spend considerable time inside and outside of the office together. We love getting the agents and their spouses together for comedy night. I know we have all heard of the “team environment”, but we actually have one. If an agent can’t show for any reason, another agent will step in and assist. Q: How can our readers connect with you if they have referrals they’d like to send your way? A: We are always available for referrals! Coral C’s Realty office number is 321-613-5605. We are on Facebook, Twitter and LinkedIn. Thank you so much Cindee! Your advice has been awesome. If you’d like to learn more about sending postcards for your team as a broker, or how to stay consistent and out front of your competition as an agent visit www.prospectsplus.com today or call our team at 866.405.3638. I’ve been really fortunate to meet some extraordinary people in this industry – bright lights who are always willing to share some brilliance with like-minded people. Q: Can you tell the readers a little about yourself? A: I’m one of the founders of BloomTree Realty, and my function is VP of Marketing and Branding. In addition to working on building our name as a company, I spend a lot of time training and coaching agents, and I also work on our tech and systems. When we started BloomTree, we set out to create a company built around providing the absolute best level of service possible to clients and, to do that, we knew that we needed to create an environment where the best agents can grow and thrive. Everything we do is built around our culture of collaboration, sharing knowledge and support. Not just the company supporting our agents, but agents supporting each other. It’s awesome to see how successful agents can be when they work together! Q: You’ve been around this real estate game for a long time and, in your position, you’re helping agents get their careers started off on the right foot. As we’ve spoken of many times, one BIG component of developing a long-term real estate success story is really focusing on building a database that represents your book of business. Can you expand on that for us? A: A database? I’d say it’s one of the biggest differentiators between agents who earn the national median income and those who earn three-plus times that. Unfortunately, it’s also one of the things agents are most likely to neglect – not just having one, but constantly building on it AND really leveraging it as a regular daily function of doing business. Agents should be constantly building their databases over time – whether the real estate market is good or not – from the start of their careers to the time they retire. If we see our database as a “fund” of business for when the real estate market fluctuates, the effort that we invest in building it is not only a source of business when times are good, but it also is a safety net for when the market is down. If you’re going to start doing just one thing today to set yourself up for a successful business in the long term, get started on building a strong database. Q: If putting your database together is the first priority, helping agents understand the importance of CONNECTING with those folks in a consistent and effective way so they stay top of mind as the agent to call is definitely equally as important. How do you recommend agents stay in touch, and how often? A: In any business, clients and potential clients are a salesperson’s most valuable asset, yet many agents keep their contacts on sticky notes, in their Gmail contact lists, try to manually update spreadsheets, etc. Working that way, it’s easy enough to see which contacts have turned into clients, but it’s nearly impossible to see which haven’t. So the first step is to use a CRM. We have all of our agents on FiveStreet for lead routing and TopProducer for their CRM as part of our overall tech package, so that all of their leads feed to their databases without having to do manual entry. It helps us as a company to have our agents use one system, because we’re better able to offer support and training. But whichever CRM is best for an individual agent is the one that they’ll actually use. They all have benefits and downsides, so just choose the one that fits best. How often to stay in contact? As often as possible, provided that it’s done the right way (don’t be creepy). With so many tools at an agent’s fingertips today, it’s easy to mix it up with methods and platforms – newsletters, social media, postcards, in person with a friendly call, holiday greetings and so on. The key to success is to be approachable, genuine and human. Be consistent with your style and content. Give information in an honest way, and be a resource. People don’t like being sold to, but they love someone who’s there to help and guide them. On average, people move every seven years. And even though NAR stats say that most would refer a friend to their agent when they’re asked immediately after closing, a dramatically lower percentage actually do. That tells me that many agents aren’t staying in touch as much as they could. Most people will use the agent that’s front of mind when their need arises, so being that agent whom they know and trust is crucial to being the one who gets the phone call. Q: I know you’re a fan of making a strategic plan for marketing a real estate business rather than that whole “throw enough things against the wall” approach. Can you share what you believe to be some must-have elements to an effective marketing plan? A: A balanced marketing strategy is like a balanced diet. We can’t stay healthy on just French fries (but wouldn’t that be awesome?). We need protein, fruit, veggies, etc. too. I see so many agents focusing on just one or two marketing platforms because they like them and they’re comfortable with them, and not layering those with other points of contact. They’re great at calling, so that’s what they do, while they ignore print and online. Or they have a killer website, so they don’t take the time to reach out in person. Or they’re great in person, so they don’t think they need a strong website. Agents absolutely should focus on what they’re best at, but they can offset their weaknesses on other platforms through training, learning over time or by finding a great solution provider who can help them. Eating a balanced diet every day keeps you healthy, and maintaining a balanced marketing strategy can do the same for your business. Q: You’re also a social media strategist. Can you share some of your top tips for using those resources to build a strong real estate business? A: It wasn’t all that long ago that social media was considered optional in marketing. It’s not anymore! If you’re only going to use one, use Facebook. Agents should have both a personal profile and a business page, keep both active and use them in the appropriate ways. It’s super easy to set up a list in “friends” to keep clients and prospects separate from school friends and Aunt Harriet, and it allows us to be more personally connected than ever before. Business pages not only help keep business posts separate, but they also allow agents to use Facebook Ads (I looooove Facebook Ads!). They’re much less expensive than regular pay-per-click, and the targeting capabilities are downright awesome. Probably the two coolest things you can do with Facebook Ads are to target only people who have been on your website (low cost, and you know they’re interested because they’ve already checked you out online) and to aim ads only to people in your database. There we are with the database again… yes, you can upload your database to your Facebook Ads account and send ads specifically to those people. Pinterest, LinkedIn, Instagram, YouTube, etc. are all extremely powerful tools too. Q: You’ve been a ProspectsPLUS! fan for a long time. Can you share which tools you most recommend to other agents? A: Is all of it an option? If I had to choose, I’d say Just Listed/Just Sold campaigns and property brochures. The neighbors around your listings are a great source of business for the next one, and people always want to know what’s going on in their neighborhood. 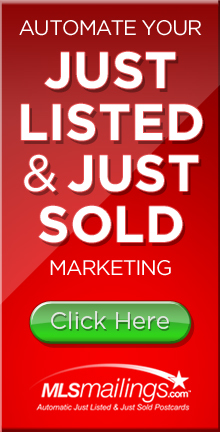 Just Listed and Just Sold campaigns are a solid way to let them know that you’re actively selling in their neighborhood. Pro Tip: Getting back to Facebook Ads, did you know that you can layer over Just Listed/Just Sold mailings with a Facebook Ad that runs just to that neighborhood? In the geographic options in ad setup, you can drop a map pin to exactly where your listing is and limit the radius to as low as one mile. Doing both print and online together dramatically increases the likelihood that your marketing will get seen. Go ninja level, and tie that hyper-targeted Facebook Ad back to your listing on your website, collect a lead, and have that lead go to your CRM. Consumers today expect something better than an MLS printout on the kitchen counter at a listing. Aim for something modern and sharp and, for heaven’s sake, don’t go DIY unless you’re awesome at graphic design. Make sure your photos look amazing, then check out the Luxury Marketing section on ProspectsPLUS! (your listing doesn’t have to be high end to look high end!). How you market this listing not only helps get it sold, but also may very well be the tipping factor in whether or not you get the next one. Q: Any last hot tips for agents eager to knock it out of the park this year in terms of their goals? A: What I tell our agents? First, do a business plan. Second, stick to it. Third, set one hour aside every week to focus on long-term improvements to their business. Let’s be real… our future selves can’t be trusted. Thinking to yourself that you’ll do it eventually doesn’t get the job done. Actually put it on your calendar as a critical meeting with yourself so you actually do it. One hour once a week spent on setting up systems, automating a process, learning something new, setting up a long-running ad, training an assistant, adding SEO to a website or whatever will pay back big time in the long term. If your goal is to earn $100K a year, one hour is worth about $48 if you’re only working 40 hours a week. In our market, commission on one side of a deal averages about $5,000 for the agent in earnings. So if you spend an hour once a week building your business for the long term, the math works out to a time investment annually of about $2,500, or half of one of our average deals. But what we see with our agents is that those who actively work their plans do more deals and, with just one more closing, it’s a win. Some have as much as doubled their business by working smarter. Q: Awesome! How can readers connect with you if they want to learn more or send referrals your way? A: Hit me up on Facebook! I’m there more than I am anywhere else online. I don’t personally list and sell anymore, but if you need a great agent in Arizona, just let me know. We have three offices full of amazing agents who can take care of a referral client for you. Terrific, Stacy! As always, thanks for your amazing insight. You’re a treat to talk to and learn from. 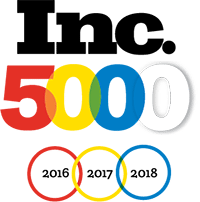 If you’d like to know more about building your book of business, staying in consistent touch with your sphere and farm, and generating more listings and leads, visit our site at www.prospectsplus.com, or call our marketing team today at 866.405.3638. We have the best customers. They’re insightful, fun, professional and willing to share what’s working for them. That’s gracious in today’s competitive market, and we truly appreciate their candor. Q: Thank you so much for sharing your insight, Debbie. Can you start by telling our readers a little about yourself? A: Sure. My name is Debbie Figueroa of the Real Estate Power Houses. I’ve worked in the real estate industry for more than 25 years – as a full-time REALTOR® for almost five years. I primarily work with residential homebuyers and sellers in the El Paso, Texas, area. Q: It’s a competitive market. What’s your go-to tool for staying branded in your market and getting results? A: The Just Listed/Just Sold postcards are a huge tool for my business. They not only help promote my listed or sold properties, but they also help get my name out in the marketplace. I obtain at least one solid buyer or seller lead from each mailing. It’s a huge tool to utilize during listing presentations as well. Q: How are you staying consistently in touch with your sphere and farm, and what advice do you have for agents eager to boost their listings and referrals? A: I reach out to my sphere of influence every other month by mail, at least three times a year by text message, twice a year by phone and once a year with a personal marketing “pop by.” I also email a monthly newsletter and send an electronic postcard for each of my listings to my sphere of influence. Some of my contacts in my sphere of influence have not directly done business with me, but they’re fabulous at passing my name along to their friends and family. Q: What are your thoughts on differentiating yourself from your competitors in your market? A: It amazes me when I meet clients who have either purchased or sold a home in the past, and they don’t remember the name of the agent who helped them. Staying in constant contact with past clients and your sphere of influence is key to helping your business grow and continue in the future. Q: What brought you to ProspectsPLUS!, and what’s your favorite marketing tool? A: The broker I was with when I made the transition back to selling real estate full time recommended the site. 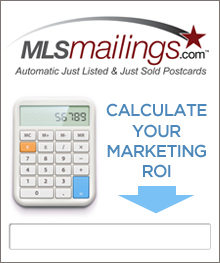 The Just Listed/Just Sold postcards are such a helpful tool in growing your business. Obtaining at least one lead from each mailing pays for itself multiple times over. Q: Any last fun advice for agents? A: Enjoy it! No one is perfect. Mistakes will happen, and you need to learn from them. Make sure to take time during the week for yourself to relax and enjoy life and laugh. Humor is needed to get through those tough times. Q: If agents would like to connect with you for referrals, how can they reach you? A: They can reach me directly at 915.261.8077 or via email at debbie@debbiefigueroa.com. Awesome advice, Debbie! Thank you so much! If you’re ready to get the kind of terrific results Debbie is getting and take your business to the next level, visit our site today at www.prospectsplus.com, or contact our team to get started at 866.405.3638. Tapping into what works for our customers is a great way to get a read on what agents need now and what is right around the corner as well. We caught up with one of our VIP customers Buddy Keene to learn what he’s doing to take his business to the next level. Q: Thanks for the interview! Can you start by telling our readers a little about yourself? A: Sure, I’m a Tampa native whose background as a business owner and executive brings a new and innovative approach to the sale of real estate. I take pride in providing personal and responsive service tailored to each client’s individual needs. I am a high-energy individual who delivers start-to-finish service with the sale or purchase of primary residences, vacation/secondary homes, and rental properties. My company, Great Blue’s mission is to become both the best respected and the most successful real estate brokerage in the state of Florida. Q: We know that staying consistent with your marketing is one powerful key to branding yourself and generating business. Can you tell us what you find most effective in terms of staying top of mind with your sphere and farm? A: I concentrate my marketing budget on direct mailings. I mail three communities every month. The total number of homes that I reach is just over 2,500. 90% of all of business comes from this mail campaign. If you want to be top of mind for the homeowners in your farm area, you have got to be consistent with your touches. If you intend to simply mail one time, or even on a quarterly basis, you’re wasting your money. I consider 12 touches per year to be the optimum exposure for my listing services. Q: We appreciate your trusting us to be the resource for your marketing tools – what drew you to our organization and what is your go-to tool for getting results? A: I learned about ProspectsPLUS.com from a postcard that you mailed to me. So, I’m proof that direct mail produces results! Q: It’s a competitive market out there. What advice would you give fellow agents for creating an edge over their competitors? A: For years, I produced my own Real Estate Reports for my farm area. I would gather the info from the MLS, analyze it, write a report, print it, and the envelopes, stuff them, and mail them. It was a massive effort to put the campaign together. My printing toner cost alone was $500 per month. At that time, I was only mailing on a quarterly basis. While I was surviving, the return on my investment just wasn’t where I felt it should be. After contacting prospects Plus, and learning about the Market Dominator product, I made the change, and hired your profession organization to produce my mailing pieces. This is by far the best marketing decision I have made to date. The mailings are always top notch quality, both the graphics, and the copy. My personal branded image has never been more professional. And I’m spending less time on my mailings than ever before. The very first thing that homeowners tell me when we meet at the listing appointment, is that they love my mailers. Q: Many agents are reluctant to do any follow up activities with their book of business. What words of wisdom can you share with them? A: My farm areas consist of $400,000 properties. When you start charging people the amounts of money that I charge, you’d better bring some real value to the table. I have added services to my marketing plan, that most other Realtors simply don’t offer. For example, pay for a professional appraisal. The fact that we have a professional third party opinion of market value is very comforting to the sellers. It’s amazing how much stress this practice removes from the selling process for my clients. Another benefit to having this info, is that they sellers don’t go into the selling process with unrealistic expectations. I bring in a professional photographer, and have him shoot High Dynamic Range photos, as well as aerial photos shot with a drone. I have a virtual tour software that I invested in, and it’s so much better than anything else that the sellers have ever seen. I also use an appointment center service, so that we never miss a call to show. I employ an internet service that syndicates my listings to over 50 websites, and delivers an email report to my sellers on the 1st, and the 15th of each month, showing how many view’s we have gotten, and from which of the website. Q: How valuable have you found it to be to stay in touch with your past clients? A: Being mostly a listing agent, many of my past clients have actually moved out of my market area. So, the majority of my book of business is made up from buyers that I have worked with in the past. This is one of the areas where I have some serious room for improvement. While I have been fortunate enough to have very good relationships with my past buyer clients, I have not established a formal drip-mail campaign to keep myself top of mind with them. My past clients have become a strong source of referrals. In fact, I have one family that has purchased, and or sold six properties with me. We’ve been working together for over 10 years. Many of my past buyers were first time buyers. Now that they are ready to move up, they are calling me to both sell their current property, and help them buy their new home. Q: Lastly, how can agents get hold of you if they have a referral they’d like to share in your area? A: I can be reached at Buddy.keene@greatblue.us, or by phone at 813.727.7110. If you’d like to learn more about growing your book of business, earn more referrals and brand yourself in a geographic market, visit us online at www.prospectsplus.com or call our team today at 866.405.3638.